All about color here. 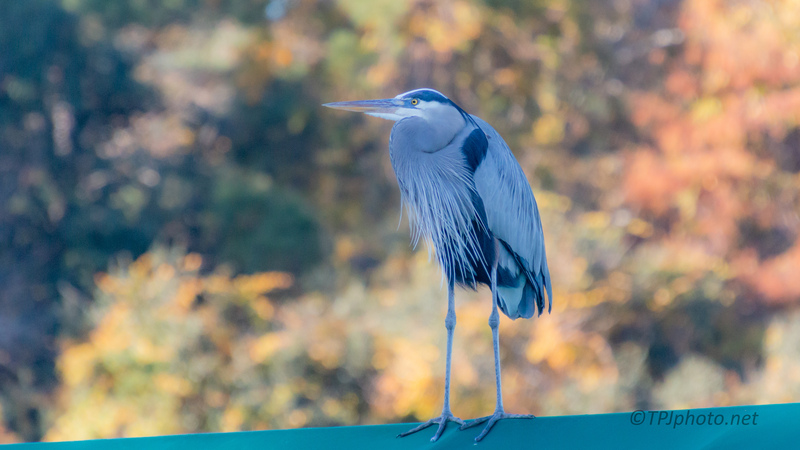 Of course there’s a Heron, but different colors everywhere. That jade blue perch is actually the canopy of a boat that is now sitting in the mud. The boat is not going anywhere soon so the nice clean blue is temporary. The big birds think it’s a nice perch.